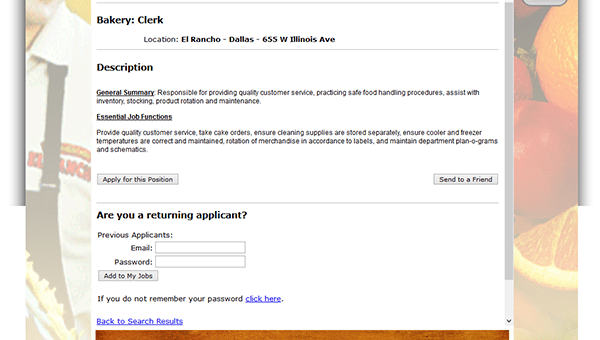 The El Rancho Supermarket job application is available 100% online by going to the company’s main employment/jobs website. Use the links posted on this page to go directly to the company’s careers site. The guide posted below details the company’s online hiring process (how to search for jobs, create an online account, and fill out/submit an application). About the Company: El Rancho Supermarket is an American chain of Hispanic supermarkets based out of Texas. The company was formed in 1988 and has the majority of its locations throughout Texas. Both corporate and retail positions can be applied for online. 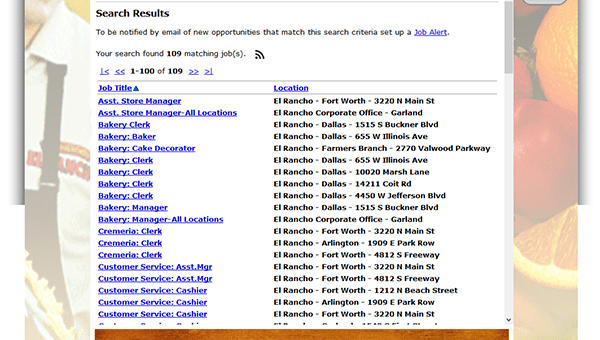 Step 1 – Click this link to open the company’s main employment page in a separate tab/window (within your browser). Step 2 – Scroll down the page to the “Search Openings” form. 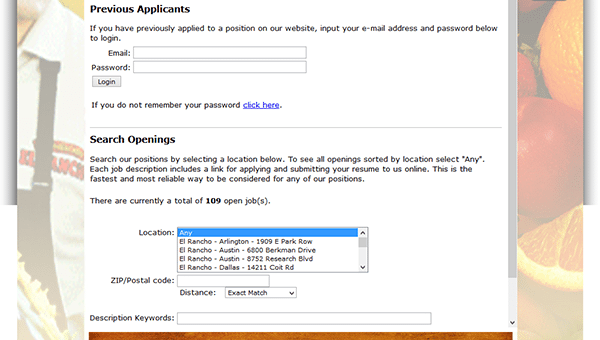 Select a location from the list of options and then enter a keyword (or zip code) into the input field(s). Press the “Search” button to load the results. Step 3 – The results can be sorted by location or title. Click the link of the position that you want to start the online application process for. Step 4 – Read the job description section and then press the button as outlined in the below screenshot. 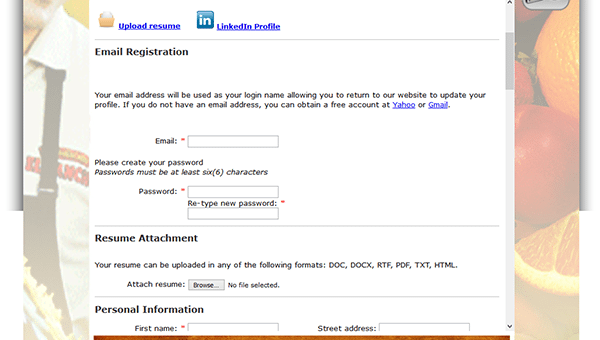 Step 6 – Upload your resume within the “Resume Attachment” subsection.